You can go right ahead and file this one under #cleantreats. Finding a sweet treat to satisfy that after dinner craving when you’re an avid follower of a clean eating plan can be a daily battle. But treating yourself after dinner needn’t be such a struggle anymore. Whilst having an active weekend with my best friend and fellow clean eater, (dancing until it was too painful to walk in our heels and trying out fun new exercises at the gym), we discovered the perfect sweet treat – minus the sugar, chocolate and all of the other bad things we tend to avoid. All you need is two eggs (one whole egg and one egg white) and three scoops of protein powder. We tried vanilla and chocolate but they would work with any. Add a little bit of coconut oil to a pan after creating your pancake “batter” – add some water to the mix if it is too glooopy – and pour a small amount in to the pan. Basically, you make them the same way as any other pancakes! 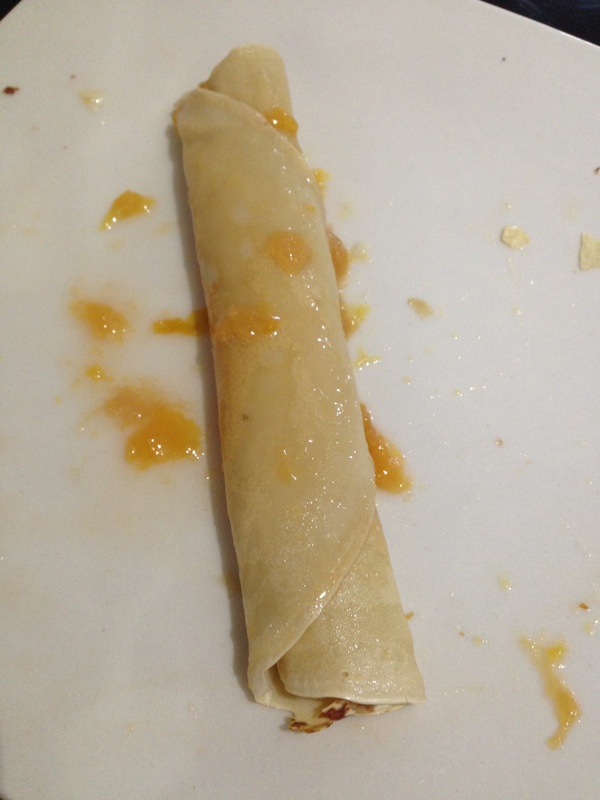 It genuinely is that simple (although it did take us a few tries to perfect them but by the fifth pancake we had definitely mastered it. 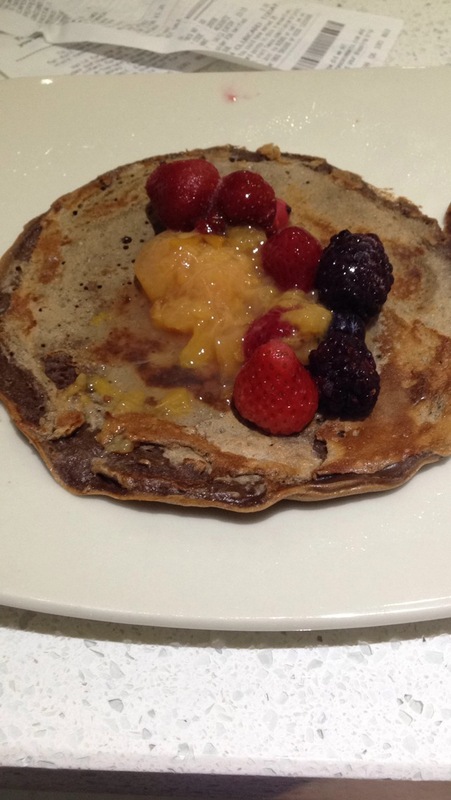 Chocolate protein pancake with stewed plums and frozen berries. 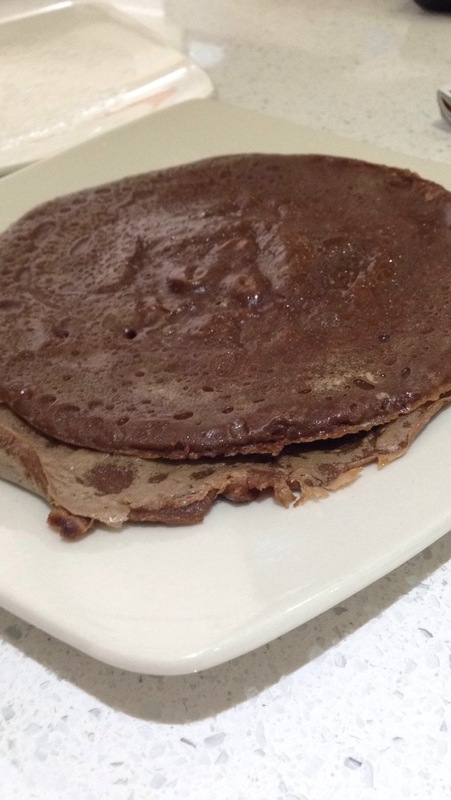 Chocolate protein pancake – it was tastier than it looks, promise! We topped ours with stewed plums (courtesy of Liana’s fantastic mum Anne) and frozen fruit. Not only did they satisfy our sweet tooth but we got our protein hit too, an ideal combination. The rest of the weekend was as usual centred around food and exercise so I thought I’d share some of the other creations we made. Check them out on the next post.